I hope everyone had a restful Christmas! I celebrated with friends and family throughout the month of December. It was a great way to close out the year, and the month has been filled with much reflection and excitement, looking toward the new year! I went to a Christmas potluck last week, and brought a yummy deep dish cranberry and apple pie. It was a great way to present a classic with a slight twist. 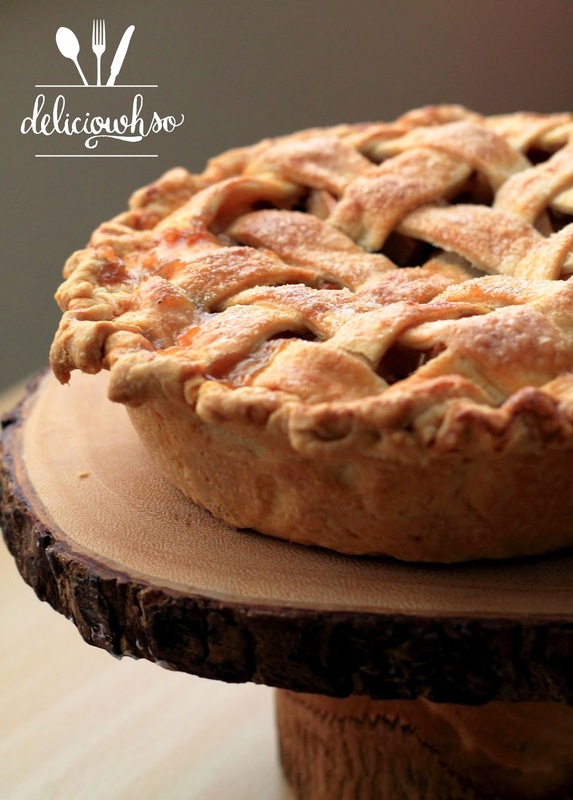 The pie is baked in a cake tin to achieve a thicker pie. 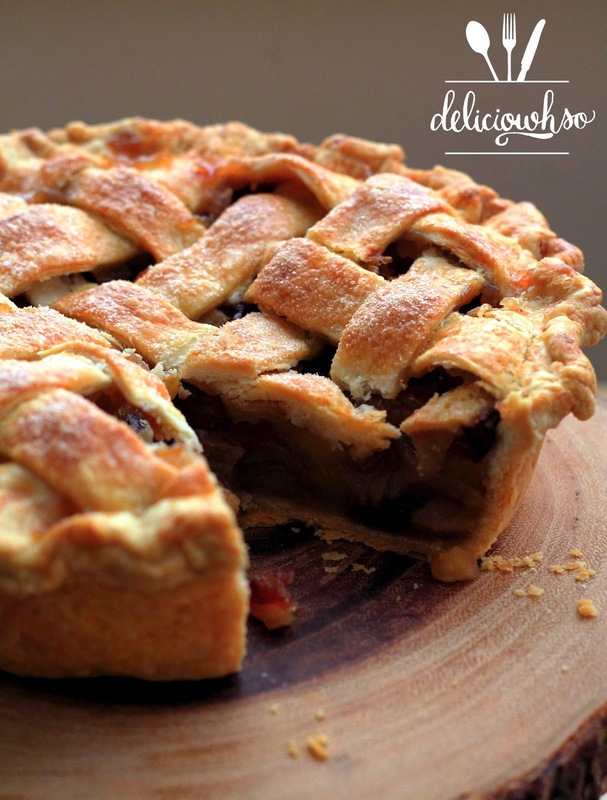 The filling is sweet from the apples with a great tartness from the cranberry. It's a great way to close out the holiday season! 1. Peel and medium dice the apples. Place into a large pan. 2. Add brown sugar, cinnamon, ginger, and water. Mix together, and heat on medium heat. 3. Cook until the apples tenderize slightly. Then, add the cornstarch and mix. 4. Continue to cook until the mixture thickens, and apples are tender. 6. In a small pot, bring sugar and water to a boil. Remove from heat and add cranberries and rum. 7. Allow the cranberries to soak for about 5 minutes. Then, add to the apple mixture. 8. If there is excess liquid, put the apples back on the heat and allow it to cook out. Otherwise, just mix it well together. 2. Lightly grease your cake pan with butter. 3. Roll out half of your pie dough to about 1/4 inch and place into the tin. Trim the edges. 4. Use a fork to poke holes so that steam can escape. 5. Place the filling into the crust. 6. Brush the outside edge of the crust with egg wash.
7. Roll out the remaining dough into a rectangle. Cut strips about an inch wide. 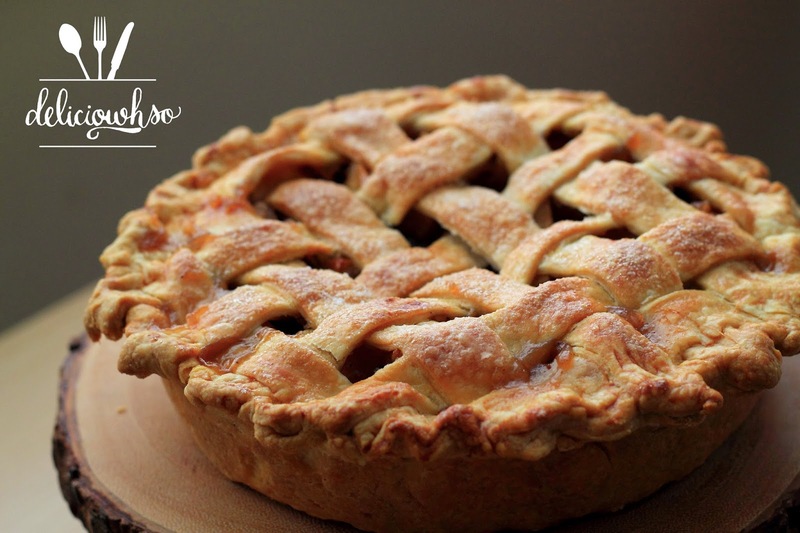 You will need enough to weave a pattern onto the pie. 8. Alternate and weave the dough strips to create a basket pattern. Do this quickly so that the dough is easy to handle and does not stick to the egg wash.
9. After you weave the dough, brush the top with egg wash and sprinkle with cinnamon sugar. 10. Bake for 30 minutes, until golden, and the filling begins to ooze out. 11. Allow to cool slightly, and serve warm.